The translation of today’s recipe is drunken soup. But no, it isn’t a soup at all. It is a delicious dessert from Panama, very popular in weddings and quinceaños. This is the first time that I attempt to make this dessert, the occasion? Fernando’s 3th birthday. It wasn’t a big party, but I take every opportunity I have to cook typical Panamanian food and get some extra feedback. And I have to say that the feedback was very good, so here it is. However, this cake wasn’t the chosen one for blowing the candles, but this one. 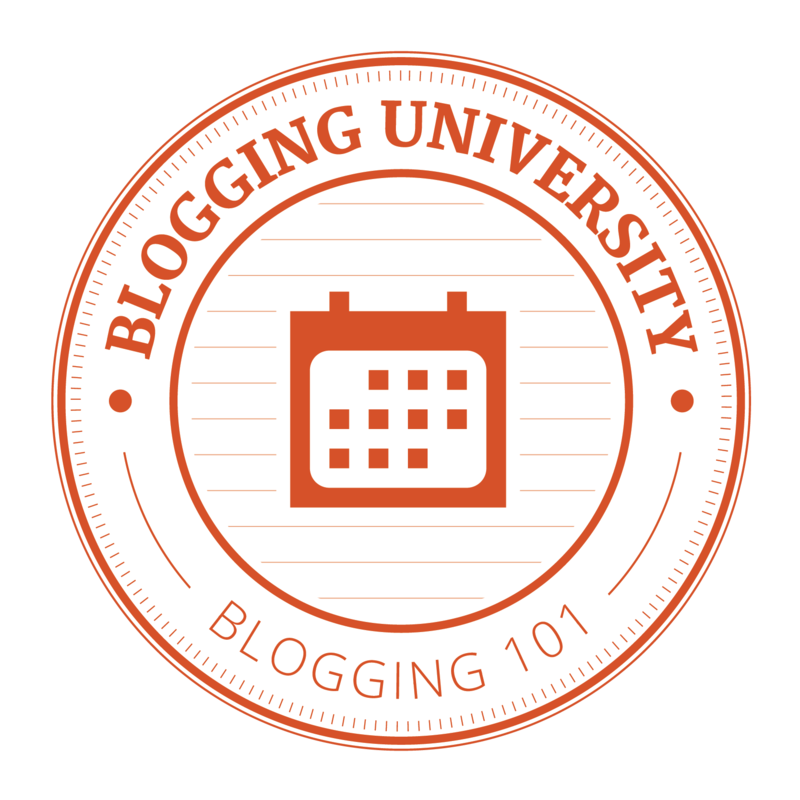 Inspired by this blog. Under all those m&m’s and kit kats was an incredible, fast and furious chocolate cake from Joy of baking my “to go” web for delicious recipes. Beat egg whites until stiff peaks form. Add the egg yolks and sugar gradually. Gently fold the sifted flour with salt and baking powder into the egg mixture. Finally add the lemon zest or vanilla. Pour the mixture into a cake pan, lined with wax paper. Bake for 45 minutes or until a wooden skewer inserted in the center of the cake comes out clean. Cool and reserve. 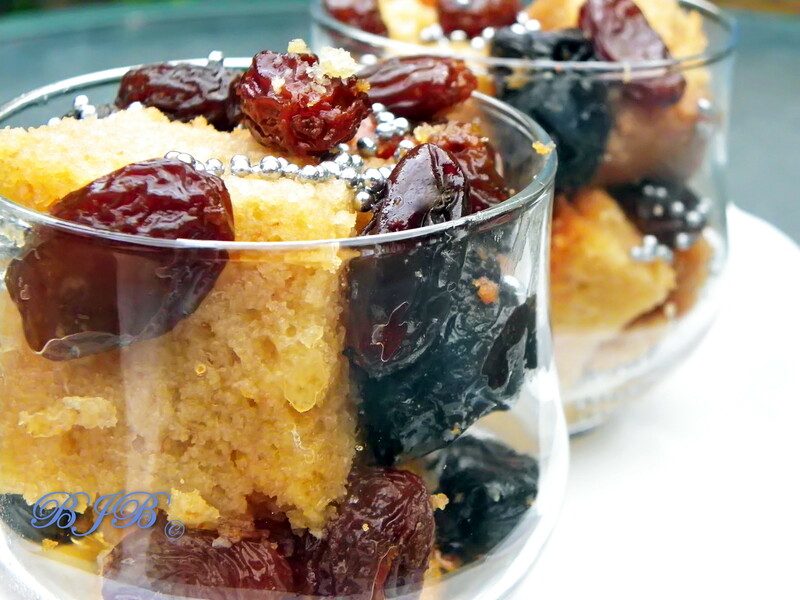 Marinate prunes and raisins in a bowl with rum, sherry and muscatel. It’s preferable to let them soak overnight. In a small saucepan, pour water, sugar, lemon slices, cinnamon and cloves. Bring to a boil and let it simmer until it becomes a syrup, no too thick. Strain and let cool. Once the syrup is cooled, stir in the mixture of raisins and prunes with liquor. Cut the cake into small squares or rhombuses and place them in a deep serving dish and bathe with the syrup and let them soak well (“to get drunk”). Garnish with prunes and raisins. Traditionally in Panama we use silver dragees as decoration too. You can serve this dessert directly in the serving dish or in individual portions like I did. How can I keep it? At room temperature o in a refigerator? Hi! It is best to keep it in the fridge, actually it is served cold usually. this is very, very heady stuff…love it! I am assuming that the birthday boy skipped the drunken soup? Hi C! Hehe, the adolescents in the party were those who look with envy at the sopa borracha … 😉 the kids just wanted to go fish into that tank full of m&m’s. Drunken soup…sounds intriguing, enticing…and yummy! I would like one drunken soup and a huge slice of cake to go please. I love it – soup that isn’t a soup ! And the fruit-syrup mixture sounds wonderous even without the cake. The syrup for the dessert sounds amazing! I love cloves and cinnamon! Cualquier comida con la palabra borracha en su nombre ¡es una comida para mi! ¡Je je! Qué graciosa 🙂 Gracias por tu comentario Tanya! The drunken soup sounds terrific. 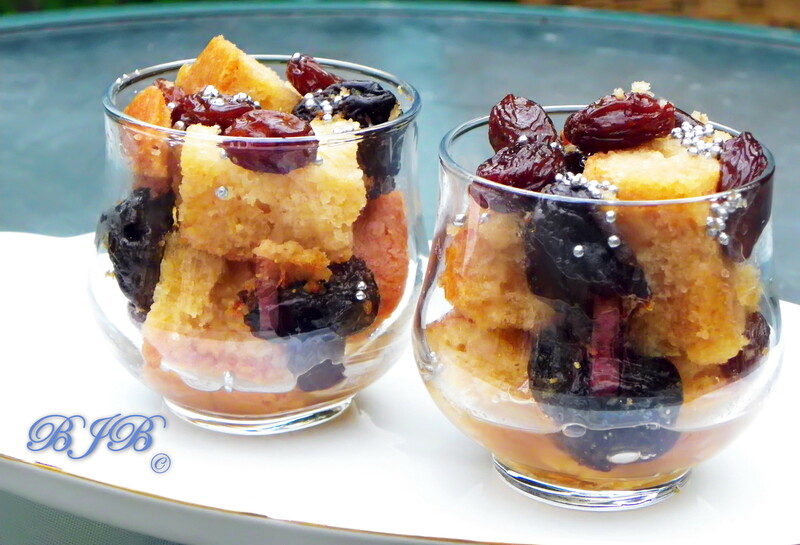 A lovely dessert for fall entertaining. Wow.. rum, muscat and sherry!! 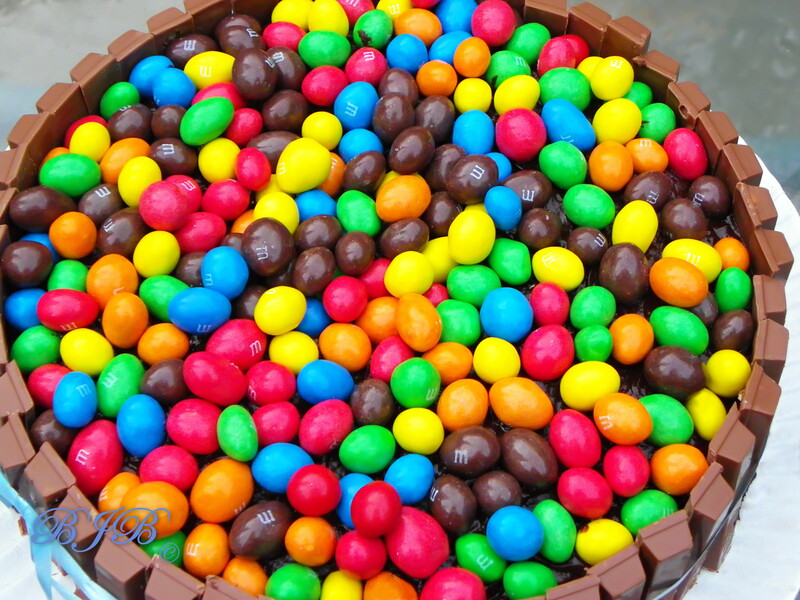 Unbelievable.. and I love the kit kat with m&m’s cake.. I’d scoop a handful if I could!! My! I’m thinking weekend breakfast. Okay, brunch. Small serving? as a Panamanian…. it is a must to have sopa borracha in my incoming wedding…. and this recipe has something I never come across with: liquor de Muscatel. It sounds good with the mixture so I am going to try this recipe instead of the one I already have… thanks!!! What size cake pan do you need for the sponge cake? Hi Frank! I used a 23 cm round pan (9 in). Oh. Now I understand. And now I am in heaven. Or I will be once I make this. Thank you!!! Is there a way to make a syrup without alcohol? would like to take this to an elementary school for heritage day but they do not allow food with alcohol. Yes, you can let the alcohol out. Just don’t soack the dried fruit in alcohol, make the syrup following the recipe and when it’s cool, add the raisins, etc and soack them in it for aa while. I think that will do and it will taste very good too.